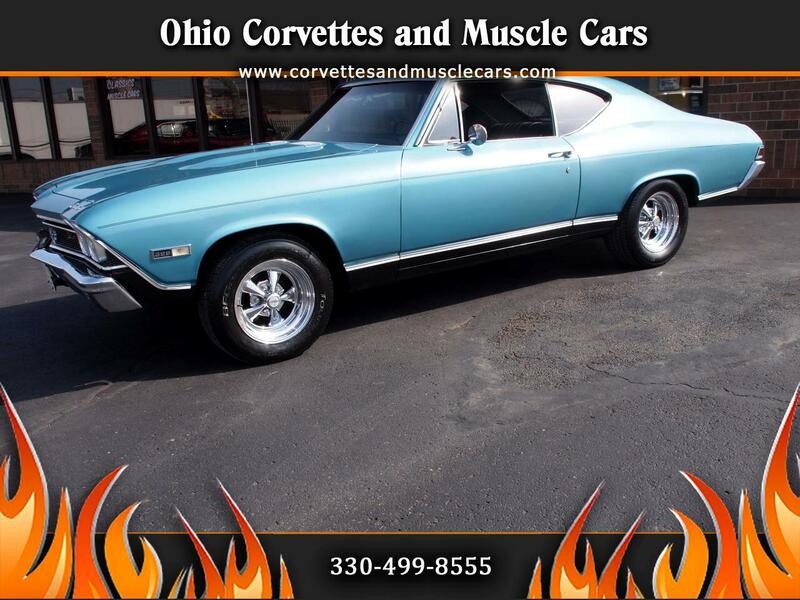 We have just added this 1968 Chevelle SS 396 to our excellent inventory on 1st and 2nd generation Chevelles. This particular example is a numbers matching 396 cubic inch, 350 horsepower version of Chevy's 68 A body car. It is equipped with bench seats, driver and passenger side outside mirrors, Flowmaster mufflers, a Muncie 4 speed, and a 12 bolt rear end with posi-traction. All riding on the classic SS Crager mag wheels. It is painted in its original color of Tripoli Turquoise Metallic (code KK), coupled with the standard black vinyl interior. This car is very solid and runs and drives without issue. All mechanicals check out and all the gauges work as they should. This car is ready for cruising...it needs nothing to begin enjoying. Chrome is in excellent shape and the paint is in overall good condition. There are some minor paint chips on the driver's door and front hood. There is also a small crack in the dashboard by the driver's side A pillar. This is a strong driver quality car that is perfect for the enthusiast who wants to drive and enjoy his car. Message: Thought you might be interested in this 1968 Chevrolet Chevelle.